The Foreign and Commonwealth Office, which is in charge of promoting British interests overseas, updated their travel advice on Monday, with the vast majority of Christmas market warnings being in Western European countries that have been affected by the migrant crisis and recent Islamist terrorism. The warning for Germany reads: “There is a general threat from terrorism. “There may be increased security in place over the Christmas and New Year period, including at Christmas markets and other major events that might attract large crowds. Other countries where the FCO warned vigilance around Christmas markets are Austria, Belgium, the Czech Republic, Denmark, Italy, the Netherlands, Poland, and Sweden. There was a warning to be vigilant during the Christmas period whilst in Spain, but there was no specific mention of Christmas markets. The remaining 16 EU nations — mostly in Eastern Europe — had no such warnings. Christmas markets across Western Europe have been under tight security since Tunisian failed asylum seeker Anis Amri, who travelled from Italy to Germany with the 2015 migrant flow, drove a truck into Berlin’s crowded Christmas market on December 19th, 2016, killing 12 people and injuring 56 others. Video later surfaced of Amri swearing allegiance to Islamic State. 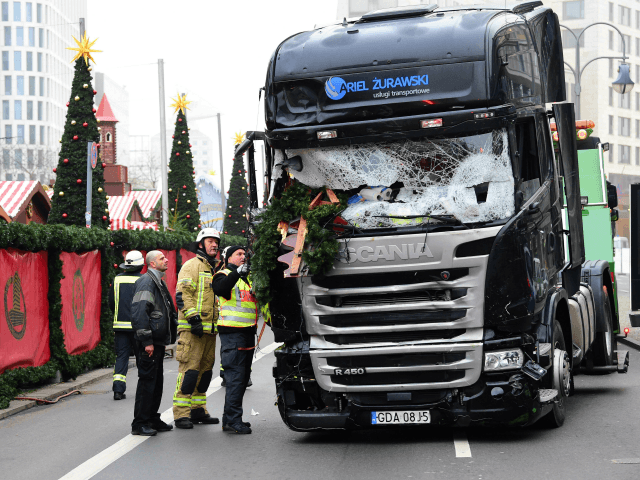 The terror attack prompted towns and cities across Germany to install anti-terror barriers — nicknamed “diversity barriers” — ‘wrapped’ for Christmas to look like gifts, with similar devices being erected in Britain in time for Christmas 2017. Before Christmas last year, six members of an Islamic State cell were arrested in Germany on suspicion of planning a terror attack, possibly against a Christmas market, with another plot against a British Christmas market foiled the day before. The raids came after Islamic State had threatened holiday attacks against New York City, London, and Berlin.